Investigators reportedly suspect that nerve agent was hidden in the suitcase of ex-spy Sergei Skripal’s daughter, Yulia. Investigators reportedly have another theory for the location of the nerve agent that left former spy Sergei Skripal and his daughter Yulia hospitalised – it may have been hidden in her suitcase. The UK government has yet to announce how it believes the pair came into contact with the deadly chemical. 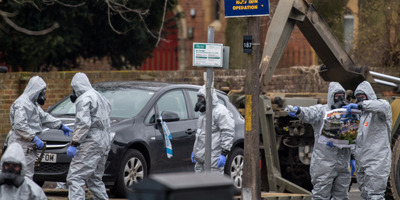 Another theory that has circulated in recent days is that the substance was smeared on the handle of Sergei Skripal’s car, poisoning him when he touched it. A Zizzi restaurant and the Mill pub in Salisbury that the Skripals visited on the day they collapsed have been cordoned off by investigators, as has a ticket dispenser at a Sainsbury’s supermarket car park. Britain has accused the Russian government being behind the attack, pointing to the fact it was a Novichok nerve agent used – a family of poisons developed by Russia during the Cold War. Russia has repeatedly and angrily denied any involvement. On Thursday, Britain’s allies rallied round it, issuing a joint statement with the US, France, and Germany blaming Russia for the attack. Britain has expelled 23 Russian diplomats as relations between the two country sink to what may be their lowest since the end of the Cold War, and Russia has vowed to retaliate.